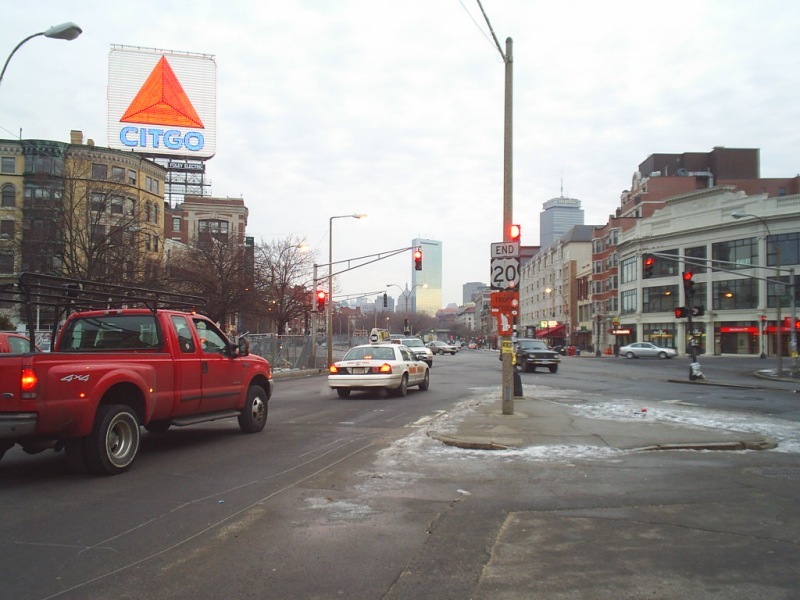 Two photos showing the eastbound end of US 20 in Boston. 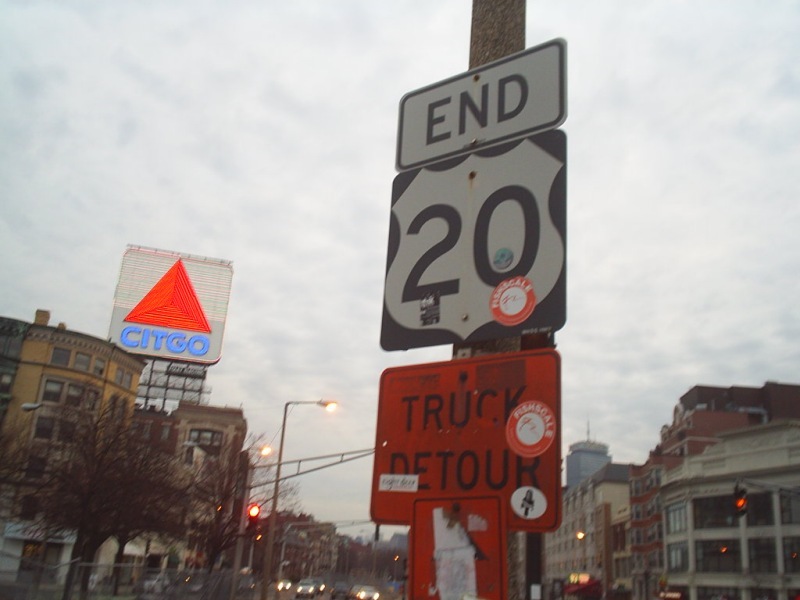 US 20 follows Commonwealth Ave until it hits a multi-leg intersection with Beacon St and Brookline Ave. MA 2 follows Beacon St to the right in the photo, then continues ahead along Commonwealth Ave. Photos by Doug Kerr, taken January 29, 2006.